The League Champions Korea Operations Committee has issued a ‘caution’ penalty to SK Telecom T1's Junsik “Bang” Bae for a reply to one of his viewers during a League of Legends stream in February 2017. 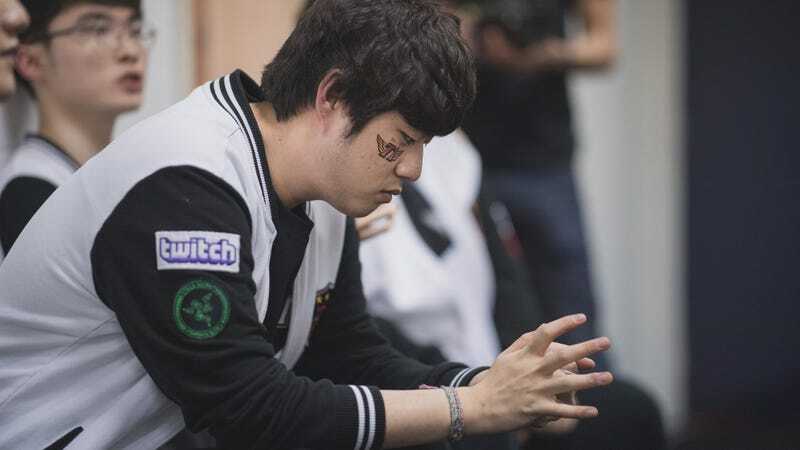 Though Bae apologized in July for the comments, the LCK still pursued action against him. Some voices within the community, like former LCK commentator Christopher “MonteCristo” Mykles, are questioning why any penalty was given. For his comment, Bae and his team were given a “caution.” The caution does nothing on its own, but if SKT T1 accumulates a second, they will lose a set score in the Korean standings, a dangerous prospect while nearing the end of the summer season. The slight penalty is especially questionable given the LCK’s lack of intervention in the spring, when members of Longzhu Gaming were reportedly going unpaid.